Priests, pasters, ministers, and nuns: they are the men and women of God. We trust them unconditionally, tell them our darkest deeds, turn to them in our most desperate hour. We would never, in our wildest dreams, expect them to be…cold-blooded murderers. 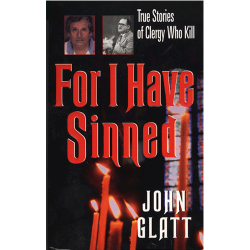 Now, peek into the confessionals of eleven clergymen and -women who did the unthinkable– who broke the most sacred commandment: Thou shalt not kill. Pastor Edmund Lopes could bring a congregation to its knees. Little did they know that years before, after murdering his wife and stabbing his girlfriend, he had found religion in prison and jumped parole to become a Baptist minister– until police caught up with him, ten years after his escape. Sister Sheila Ryan De Luca, having left her Franciscan convent after allegations of a lesbian affair with another nun, stands accused of brutally murdering a man who she claims raped her. Ultimately she served ten years in prison until her conviction was overturned. Reverend Freddie Armstrong heard the voice of God telling him to “kill the Antichrist,” so the schizophrenic ordained priest took a sharp butcher’s knife and proceeded to stab and decapitate 81-year-old Fred Neal, a beloved local minister who happened to be in the wrong place at the wrong time.